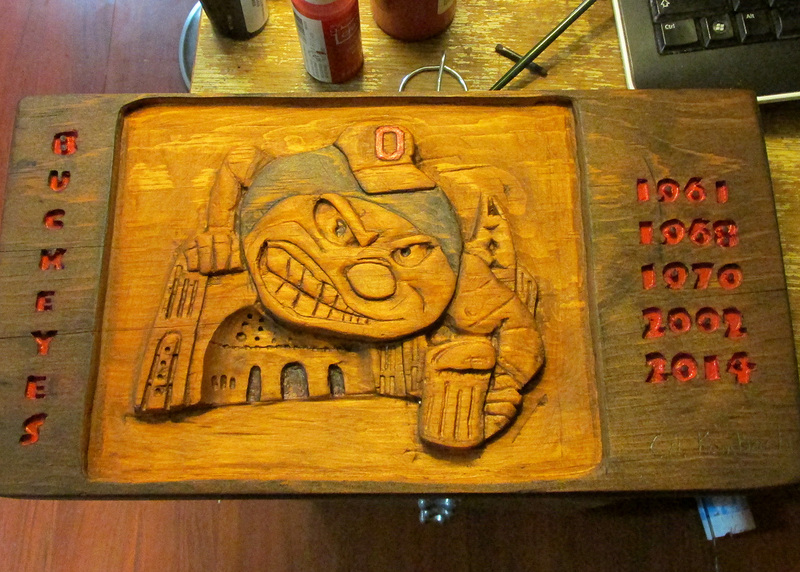 Brutus the Carved Buckeye…Nice work, Chad! So happy to give a shoutout and some major props to Chad Rombach of Toledo, OH for this incredibly cool carving of The Ohio State Buckeyes mascot Brutus the Buckeye. Nice work, good sir! Considering he claims to have only just started learning how to carve, I’m incredibly impressed. Notice the championship years along the side? An excellent touch too! This carving is based on an illustration I did a few years ago for a t-shirt for Butcher’s Tap in Chicago, IL. 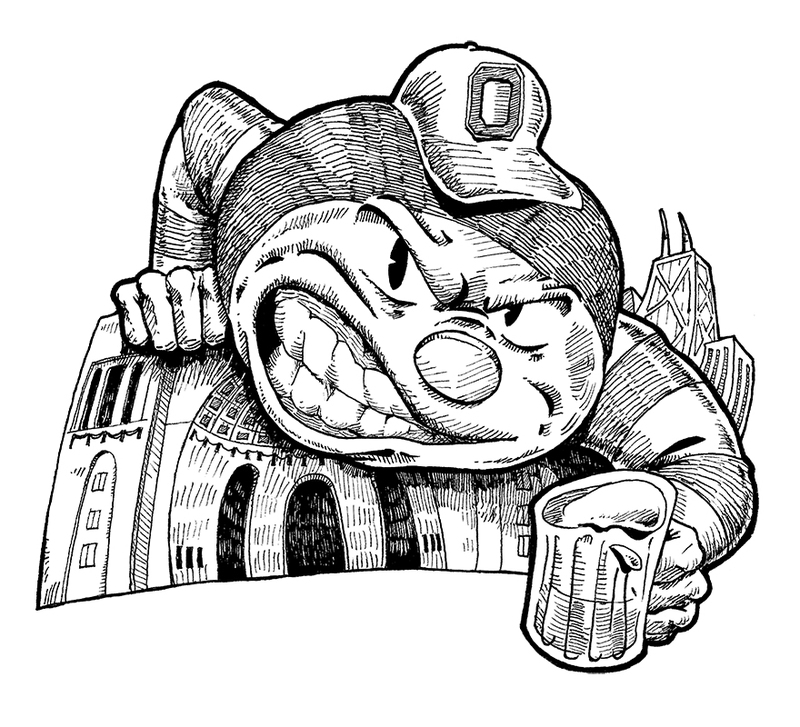 Chad came across it after doing a Google search for Brutus the Buckeye images and then went to town. As a professional illustrator, I can think of few greater honors than for someone to be inspired by your artwork and then use it to create a cool work of their own. Cheers to you, Chad!